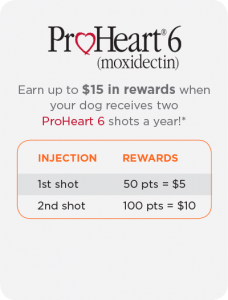 WHAT IS ZOETIS PETCARE REWARDS? 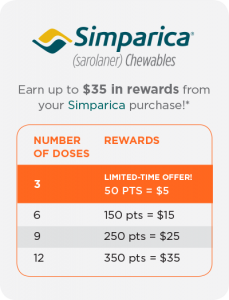 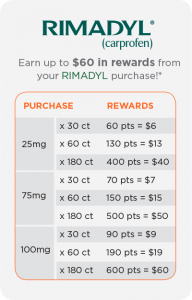 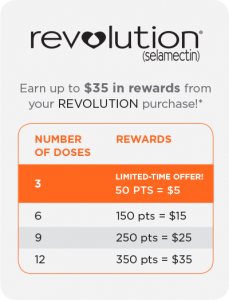 Zoetis Petcare Rewards is a new loyalty program that allows members to earn rewards on eligible purchases of SIMPARICA, PROHEART 6, REVOLUTION, RIMADYL, and CONVENIA. 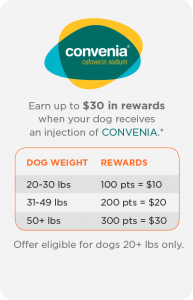 These rewards can be redeemed for a reloadable Zoetis Petcare Rewards Visa® Prepaid Card that can be used at Longwood Veterinary Center to pay for any product or service.